Artículo ​​# 307722 Puntos Stash: 5995 (?) This is the number of points you get in The Zumiez Stash for purchasing this item. Stash points are redeemable for exclusive rewards only available to Zumiez Stash members. To redeem your points check out the rewards catalog on thestash.zumiez.com. 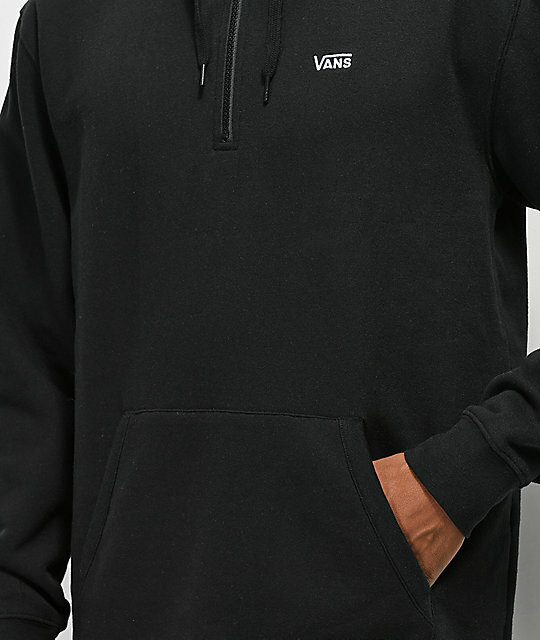 Gear up for cooler weather with the Warp Check quarter zip black hoodie from Vans. 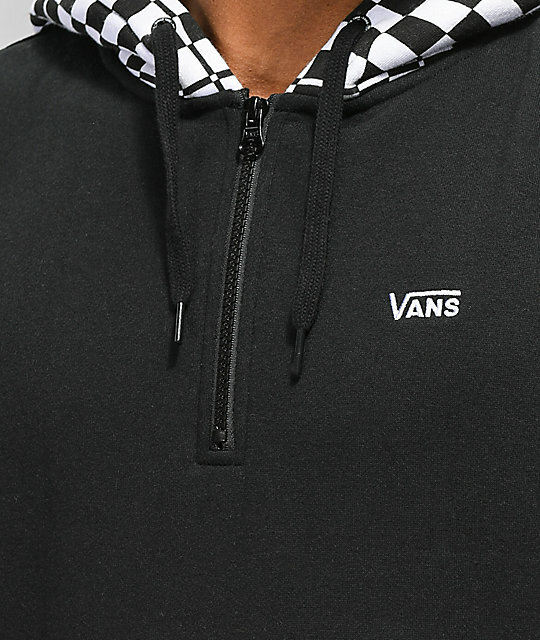 Coming with a quarter zip anorak-style closure, this cozy, fleece-lined sweatshirt features an embroidered Vans logo graphic at the left chest and a checkerboard pattern throughout the hood. 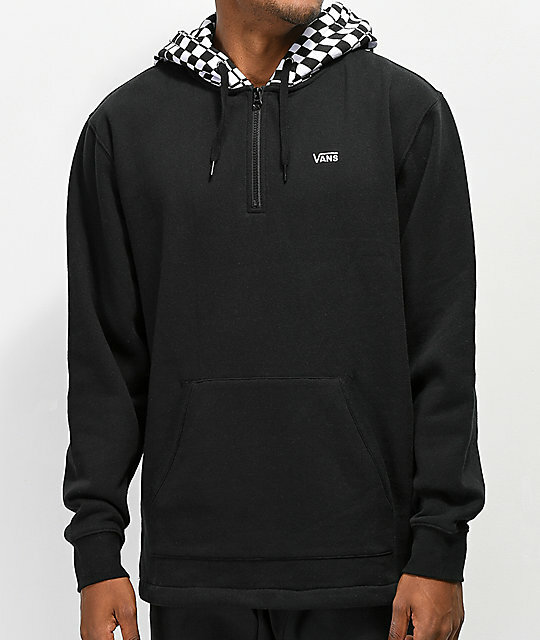 Warp Check Quarter Zip Black Hoodie from Vans. Embroidered Vans logo graphic at the left chest. 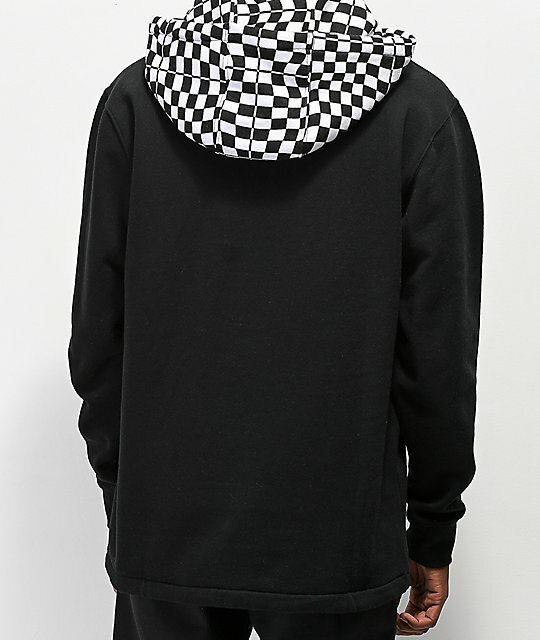 Black and white checkerboard pattern throughout the hood.